Based in Canberra, John Hogan aims to provide his clients in Canberra as well as Brisbane with relevant, timely, personalised advice. He is passionate about finance and closely follows macroeconomic trends in order to manage the implications for his clients’ portfolios. When providing advice, John considers the recommendations of Dixon Advisory’s Investment Committee in line with the unique portfolios, objectives and preferences of each client. Prior to joining Dixon Advisory, John worked as an Analyst with the Department of Finance and Deregulation. 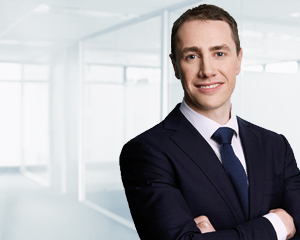 He has a Bachelor of Commerce and a Bachelor of Economics from the University of Newcastle and is accredited to provide investment advice by the Stockbrokers Association of Australia.